With almost three decades of experience in independent publishing, Ramsey Kanaan has long tried to solve the riddle of how to best disseminate radical, and actionable, ideas to the world at large. PM Press, which the Scottish-born East Bay resident founded with Craig O'Hara in 2007, is dedicated to publishing radical, anarchist, and progressive literature, and well known in certain circles for its unconventional approach to marketing. Reps for the organization can be seen standing next to tables of books at the back of strikes, marches, protests, punk shows, and political rallies, selling books about anything from oral histories of punk rock to critical texts about the Anthropocene and environmental disaster to memoirs of political prisoners. Call it coloring outside of the lines, call it antiquated, the results are irrefutable as, according to Kanaan, this year has been the biggest for sales in PM's existence. "The main challenge for us isn't the ideas themselves, it's their distribution," Kanaan said. Despite PM's recent successes, it's been a strange and trying new millennium for conventional media at large, and print publishing has not been spared in the slightest. "They're saying print sales are on the rise from the past few years, but people are still reading fewer books than they ever have before," Kanaan said. It is becoming a necessity for publishers, especially small, niche, presses like PM to find alternate avenues for sales to supplement traditional distribution methods. For Kanaan and PM, online subscriptions are a promising new approach. The curated subscriber box has been on the rise over the past few years, with people being able to subscribe to everything from monthly packages of tailored clothing to pre-portioned ingredients for meals and everything in between. In the digital age, subscriptions are near the bleeding edge of direct business-to-consumer models. But as Kanaan points out, subscriptions are actually one of the older practices in print media. "People have been subscribing to newspapers since the 19th century," he said. PM has been running its subscription program, dubbed Friends of PM, since its inception, but has recently included ebooks in the package. For $30 a month, subscribers are entitled to a print copy of every title PM releases, a staggering 30 to 40 books a year, which breaks down to roughly 4 books monthly. At the time of this article, Friends of PM has 400 subscribers, which, for a small press that prides itself on making big things happen on shoestring budgets, has provided some much-needed security. "It means that no matter what we publish, there are a guaranteed 400 sales," Kanaan said. "Our hope is to keep putting radical ideas out into the world and to see our authors get paid for their work, so this is a good bottom line to have." Also located in the East Bay, but hailing from a different literary niche than PM, is Transit Books, which launched its own subscriptions service in early 2018. 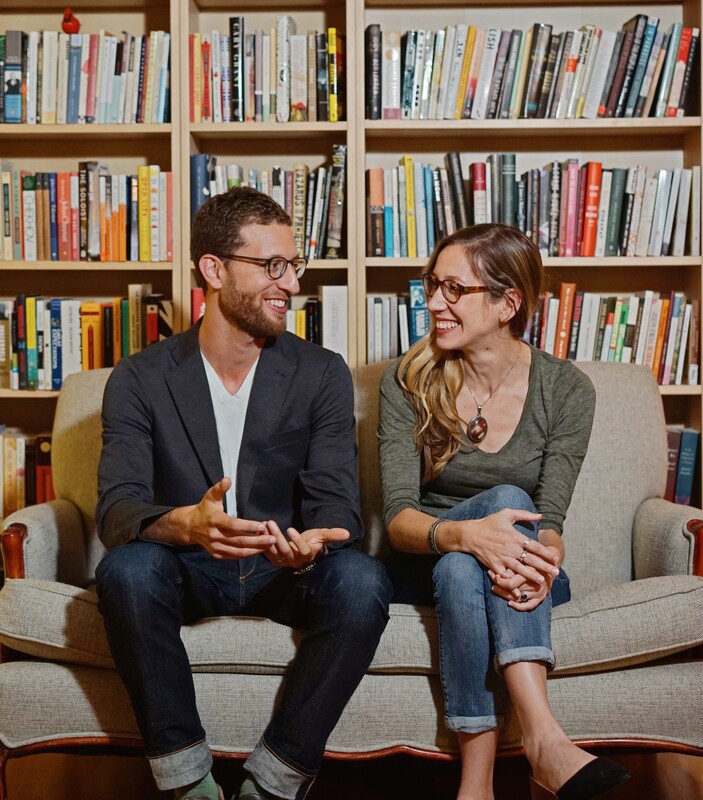 Transit is a non-profit publisher founded in 2015 by spouses Adam and Ashley Levy. It predominately publishes works of fiction and non-fiction, with a special focus on translated works. Over the past 4 years, the Levys have built up a considerable reputation for the press, with several of their titles achieving significant praise and making the rounds for literary awards. As of today, readers can subscribe and pay $60 to receive five new titles, weeks before they come out, or $100 for 10. Adam said Transit is basing its subscription model off of many of the top literary reviews and magazines. Given that translated texts are still a bit of a niche market, people who subscribe will most likely be aware of the kind of titles Transit is putting out. "The idea is that people will have a general idea or expectation of what they'll be getting in the mail from us, but still get to be surprised when it shows up," he said. Unlike Kanaan, Levy doesn't see the online subscription model as a viable revenue supplement for Transit. "It just makes up such a small percentage of our total sales, I'm not sure it can ever compete with our distribution to booksellers." Instead, the Levys view the subscription service as a potential community-building tool. "Along with getting the books, people who sign up for the subscriptions will also be invited to author readings and other events," he said. The goal is for the service to help fortify the press' reputation as a quality publisher as well as raise its profile, especially in and around the Bay. Although Kanaan and Levy have different ideas about the what and why of their press' subscription services, both agree it is an immensely beneficial component to their organizations, one that may be specifically suited for small presses. "The fact that we publish in specific areas of ideas is actually a huge help for our service, because we are a bit more curated than a bigger press, people know us for publishing radical, and actionable, ideas," Kanaan said. "So, that's what they come to us looking for." It may sounds paradoxical that serving a niche market would be a boom for business, but according to Adam Levy, the subscriptions services he's seen offered by bigger publisher houses have seemed cumbersome. "They're just putting out too much for it to really make sense," he said, "Whereas with us, you pay the subscription fee and you are getting a curated selection of five books that we are excited to be putting out."